Bottle Rock Napa Valley Brings The Heat With 2017 Lineup! 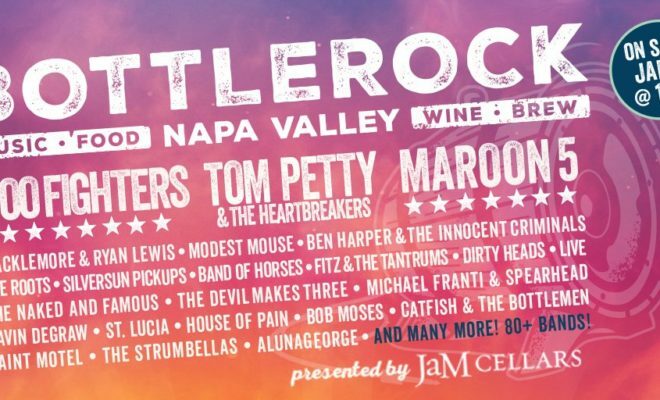 In case you have yet to hear about or attend the amazing Napa Valley music festival Bottle Rock allow us to introduce you to the amazingness. If the headlining bands weren’t enough Bottle Rock features 4 stages with over 80 performances throughout the weekend! Bottle Rock makes the General Admission ticket holder feel like the VIP (but you can also get special VIP packages as well with even more perks!) The festival features celebrity chef performances on a culinary stage along with incredible food from Napa Valley’s finest chefs. If the food and music hasn’t enticed you the festival also features phenomneal wine, craft beer, cocktails, etc. Make sure you grab your tickets before they sell out at special early bird rates! ← Previous Story John Mayer Announces New Album and Details! Eli Young Band and Andy Grammer Release Duet! Dierks Bentley Releases Music Video For “Say You Do”!